If you find yourself asking, "Where is a new Lincoln dealer near me in Pompano Beach, FL, that also offers pre-owned vehicles?" Find the answer at Pompano Lincoln in Pompano Beach, FL, also serving Fort Lauderdale and Deerfield Beach. 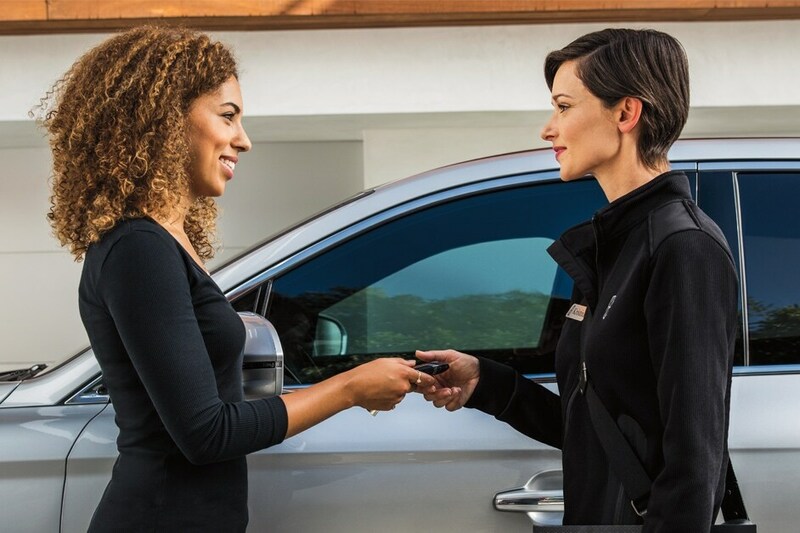 Beginning with our robust selection of new and pre-owned vehicles, your customer experience continues long after you receive the keys. Our Finance Center will help you evaluate future trade-in values, while our Service and Parts Centers ensure your vehicle's longevity by our team of knowledgeable technicians. Along with our inclusion to the Pompano Beach business community, we're a proud part of the Holman Automotive Group, whose members have dutifully served its customers since 1924. As part of a people-focused culture, our employees feel valued, which shows in their exceptional service. When you're ready to invest in a new Lincoln, let Pompano Lincoln in Pompano Beach, FL, also serving Fort Lauderdale and Deerfield Beach, be your first choice. Our new inventory offers two sedan models, the Lincoln Continental and the Lincoln MKZ. For increased room, consider one of our several Lincoln SUV models, like the Lincoln MKC, Lincoln MKT, Lincoln Nautilus, Lincoln Navigator or the coming soon All-New Lincoln Aviator. Additionally, between our Featured New Vehicles, new vehicle specials, current incentives, and regional incentives, we've got plenty of ways to help you save on a new Lincoln! A Certified Pre-Owned vehicle from the inventory at Pompano Lincoln in Pompano Beach, FL, also serving Fort Lauderdale and Deerfield Beach, provides you with the assurance that your vehicle is safe and up to standards, starting with our 200-point inspection. To earn the certified label, our pre-owned vehicles must undergo a comprehensive inspection that examines everything from the interior and exterior elements, to diagnostics, essential under-hood parts like your engine and electrical system, and the vehicle's underbody. We also perform a vehicle history report to detect things like possible flood, fire, or frame damage, as well as accident history. Once a pre-owned vehicle has passed, it earns certification and comes with a number of additional benefits for drivers. With the purchase of a Certified Pre-Owned vehicle, you'll enjoy Comprehensive Limited Warranty Coverage on over 1,000 components. Drivers will also enjoy complimentary 24/7 roadside assistance, and their first oil change is on us. Explore our pre-owned specials to help get you started. To complete your used car search, pay Pompano Lincoln in Pompano Beach, FL, also serving Fort Lauderdale and Deerfield Beach, a visit to explore our huge used vehicle inventory. Our collection of nearly 250 pre-owned vehicles includes not only Lincoln models, but also an expansive selection of used cars, trucks, and SUVs from luxury and non-luxury vehicle manufacturers. Our team of Sales Professionals is armed with the expertise to match you to your perfect used car, while our pre-owned vehicle specials can help you manage costs. Taking on a new Lincoln auto loan or used car finance payments is a big decision that deserves careful consideration. To make the process easier, visit the Finance Center at Pompano Lincoln in Pompano Beach, FL, also serving Fort Lauderdale and Deerfield Beach, to discuss your options with our team of finance professionals. Their in-depth knowledge and experience guarantees a seamless transition from browser to owner, with a payment schedule to match your budget. Begin the process by filling out our online finance application today. For attentive Lincoln service, auto repairs, and Genuine OEM parts, visit Pompano Lincoln in Pompano Beach, FL, also serving Fort Lauderdale and Deerfield Beach. Whether you prefer to tinker on your own or elect to let one of our highly-trained technicians install them for you, our genuine OEM parts are essential for your Lincoln's auto repairs or mechanical enhancements. Regular upkeep is also an imperative part of Lincoln ownership. From routine oil changes to larger repairs, our Service Center team will deliver quality results by using only the best parts and their deep knowledge of your Lincoln's mechanics. Our Service and Parts Centers each offer online services for your added convenience, like appointment scheduling and parts inquiry. For an in-person visit to our showroom, find us at 2471 N. Federal Highway, Pompano Beach, FL. Open seven days per week, we offer flexible hours, and our website is always open for you to navigate the new and used inventory, apply for financing, schedule service appointments, or make a specific parts inquiry. Call us at (888) 828-4134 today and start your journey to Lincoln ownership.